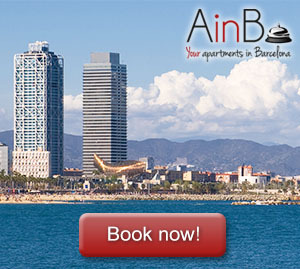 Nowadays, Barcelona is worldly known as a cosmopolitan city with the characteristic Mediterranean charm. But, many years ago, the environment of the Condal city was really different. In 9th Century, Barcelona was the heart of Mediterranean commerce thanks to the power of Charlemagne. During this time, many gothic buildings that we can still visit in one of the most famous neighborhoods in Barcelona: Gothic neighborhood. This area also keeps the best secret places of Barcelona. So, let’s discover medieval Barcelona walking along the beautiful narrow streets of this amazing place. Gothic Quarter has many majestic gothic monuments, but with no doubt, the greatest of them is Barcelona’s Cathedral. This breathtaking construction is located between two squares: Plaça Nova and Plaça d’Antoni Maura. Its façade of 70 meters high is full of gothic details . Additionally, the Cathedral has a precious cloister with big palms and thirteen gooses. So don’t miss the opportunity to take a walk from your ample studio in Las Ramblas and visit this unique piece of architectural art. A peculiar characteristic of this magical neighborhood is the wide range of squares we find there. We can visit Plaça de Sant Jaume, where the city hall and government of Catalonia are located. Plaça de Sant Felip Neri is a small square with tones of history. This place suffered a bomb attack during Spanish Civil war in 1938. In fact, still nowadays we can see evidence of that in the damaged walls of the church. Plaça del Rei (King’s square) is located just behind the Cathedral, and the astonishing buildings surrounding it are part of Royal Palace, where Barcelona’s Counts and Kings of Aragon used to live. Finally, we can also visit Plaça Reial (Royal square), which is one of the most beautiful squares of the city. It has a precious fountain and it is surrounded by tens of palms. While discovering medieval Barcelona, we will walk along Portal de l’Àngel (Angel’s gate). This avenue connects Barcelona’s Cathedral with Plaça Catalunya (Catalonia square), the heart of the Catalan city. In the medieval Barcelona, this avenue was not part of the city, but it was outside the walls that defended the city. This way, Portal de l’Àngel was one of the points of entrance to the city. Now, this avenue is a shopping core where all the famous fashion brands of the world have their own store.